Founded 1848. 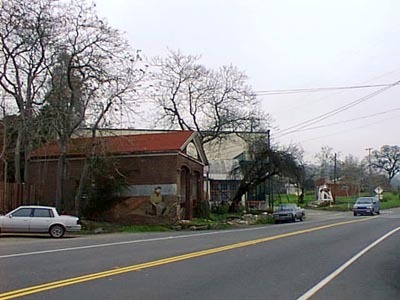 Oldest town and first in which gold was discovered in Amador County. Its venerable town hall and other picturesque structures remain. 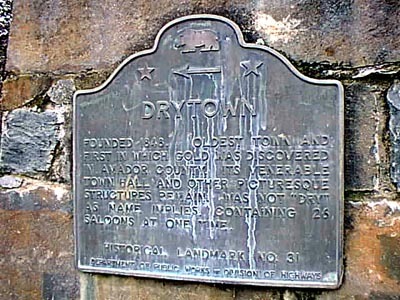 Was not "dry" as name implies, containing 26 saloons at one time. On State Hwy 49 (PM 13.7), 0.2 mi N of Drytown. There was another plaque approximately 1/4 mile south of town, but it's missing.